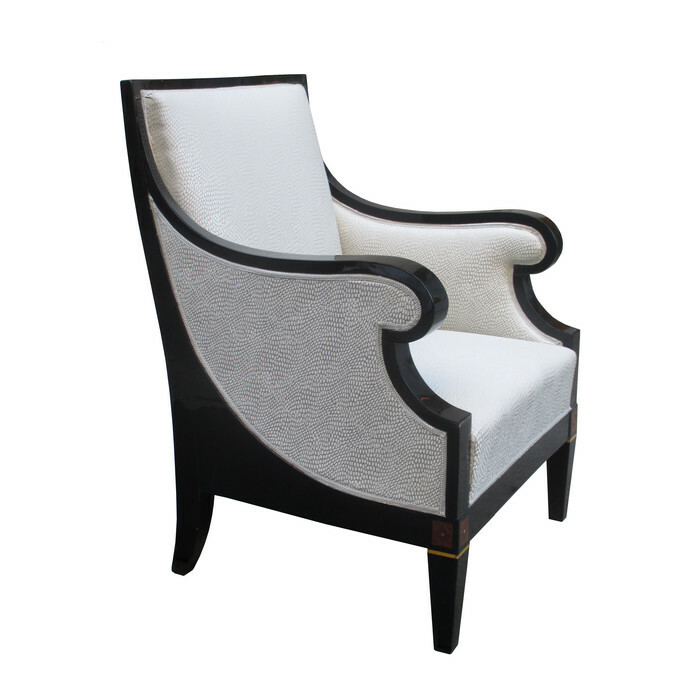 A large Art Deco single bergere. Black lacquer with fruitwood inlay details. Dimensions: H:38¾ W:27¾ D:27 Seat H:18 Inches.